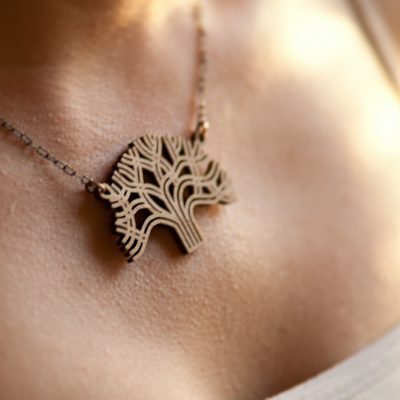 View cart “Oakland Tree Lasercut Bamboo Stud Earrings” has been added to your cart. We make studs now! 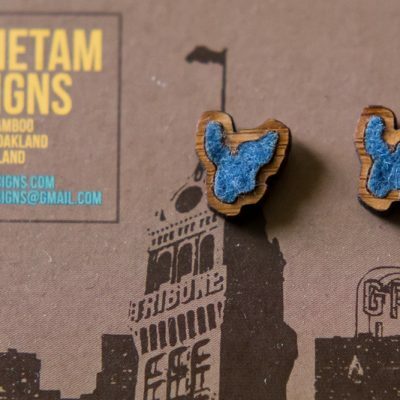 Celebrate Oakland with these laser-cut bamboo stud earrings. Designed and made for you in Oakland, California. 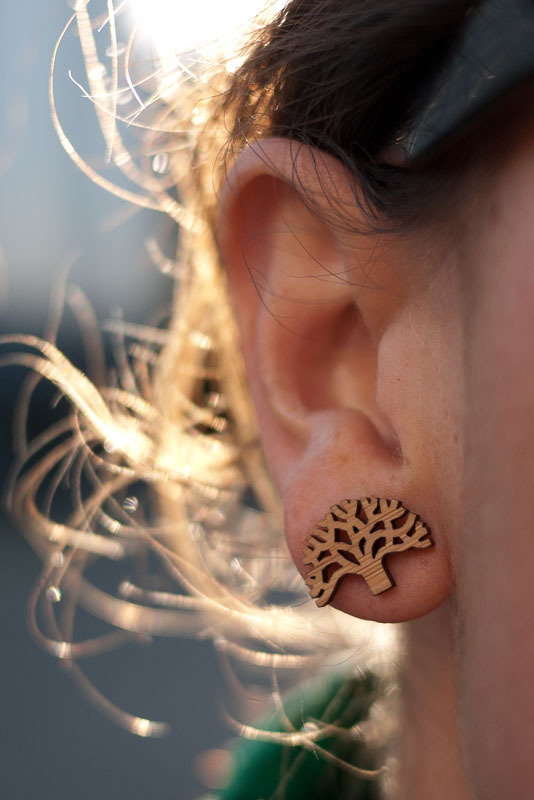 These Oakland tree stud earrings feature a representation of the City of Oakland’s oak tree logo. These studs are laser cut from bamboo and paired with hypo-allergenic surgical stainless steel posts. The stud earring shape is based on the ubiquitous official Oakland tree logo that is found our street signs, city documents, construction barriers, and even trash cans. It is everywhere in Oakland. I have modified and optimized the logo for the laser cutting process to improve the earring’s strength and durability while still presenting an immediately recognizable shape. Keep your money in the Oakland community. These earrings are laser cut here in West Oakland. The earrings come on a card (also printed in Oakland) featuring the skyline above Lake Merritt. I’m an Oakland-based engineer, designer and photographer. Ultra light weight: 0.1 grams each. OAKLAND INSPIRED. LASERCUT BAMBOO EARRINGS. DESIGNED IN OAKLAND. MADE IN OAKLAND. BY ANTIETAM DESIGNS.